The SnowHotel in Kemi is a winner in the World Luxury Hotel Awards 2016! Hotel won a prize in two categories: Golbal award as a Bespoken Luxury Hotel and it is a country winner as a Ecofriendly hotel. WLHAwards is celebrating its 10th Anniversary this year. The annual gala ceremony is a celebration and held in Qatar, Doha this Saturday, 29th of October. The World Luxury Hotel Awards event offers hoteliers the unique opportunity to savour and celebrate their achievements of the past year with their industry peers. The gala ceremony is attended by over 300 international guests that include e.g. owners and CEO’s of the world leading luxury hotels. Mrs Susanna Koutonen, CEO of Kemi Tourism Ltd. that operates the SnowHotel, embraced the event as an excellent networking opportunity to the SnowHotel in Kemi as well as to all World Luxury Hotel Awards participants. The SnowCastle is surrouded by pure white snow walls. This gigantic artwork of ice and snow can be found right by the sea near Kemi city centre, from the end of January until beginning of April. SnowHotel won the Evento Awards 2016 prize for best accommodation in Finland and is now the World Luxury Hotel winner. 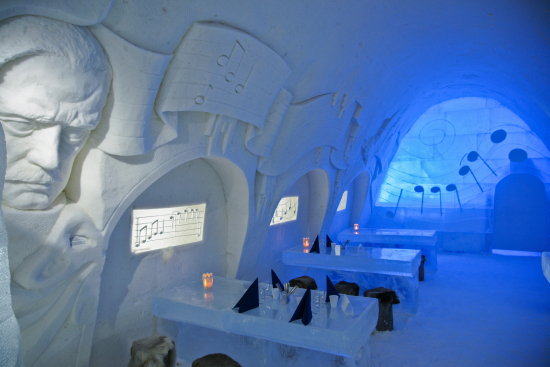 SnowHotel with unique beautifully decorated snow rooms offers a true arctic adventure, the world's largest SnowRestaurant seats over 200 guests and the SnowChapel with mystical atmosphere is a memorable venue for wedding ceremonies. All is made entirely of snow and ice from the sea water. The SnowCastle is a highly unique venue for visitors offering various activities in the weekly programme and fun snow and ice slides for children. Castle receives visitors from more than 50 countries annually. 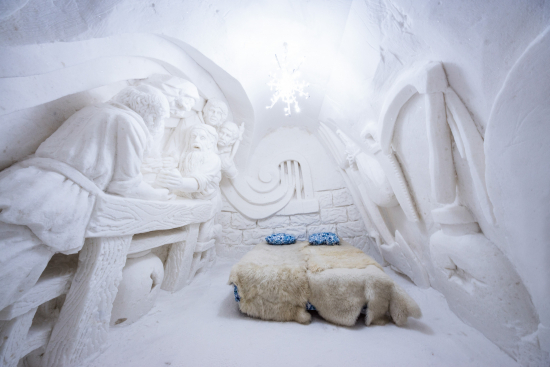 First SnowCastle was built in the city in 1996 as a present to all the children in the world. In 2017 SnowCastle of Kemi takes part in celebrating the 100 years of independency in Finland and the theme is Finland 100 years. SnowHotel presents beautifully decorated superior and suite rooms, all unique. The hotel is open from 21st of January until 9th of April 2017. 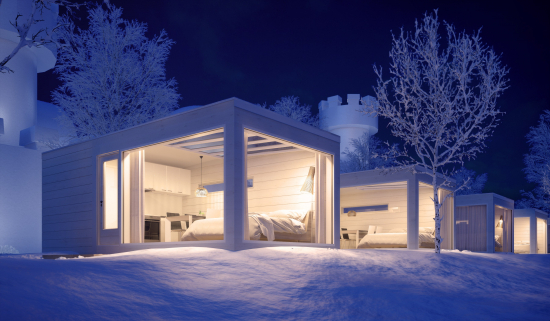 Kemi Tourism Ltd. has expanded the operation to highly unique Seaside Glass Villas that will be opened this December in the SnowCastle area. They will provide a fantastic opportunity to witness the Northern Lights from August to April and Midnight Sun in the summer time. The sea next to the SnowCastle area freezes in the winter time and offers a unique playground for all visitors. More information on the company web site www.visitkemi.fi. “The World Luxury Hotel Awards is a recognized global organization providing luxury hotels with recognition for their world class facilities and service excellence provided to guests. World Luxury Hotel Awards is the pinnacle of recognition of accomplishment by a hotel in the luxury hospitality industry, offering recognition to hotels for earning the respect of guests and industry players alike, by awarding hotels, as voted for by the public, in over 60 categories”, WLHA 2016. Kemi Tourism Ltd. operate the Arctic Icebreaker Sampo, the SnowCastle, Kemi Gemstone Gallery and Santa´s Seaside Office. The business idea is to produce and develop tourism in Sea-Lapland area. Kemi Tourism Ltd. offers unique experiences that will keep you coming back for more. Both the world-famous Arctic Icebreaker Sampo and the SnowCastle, the artwork of ice and snow can be found from city of Kemi which is the excellent alternative as a winter travel destination. The products are suitable for FIT, Groups and also incentives – from a day trip to a programme for a several days. www.visitkemi.fi.